A portrait of Welwyn in the year of the Queen’s coronation. The vivid beauty of the British ‘Garden City’ is celebrated in the year of Her Majesty Queen Elizabeth II’s coronation. Royal Photographic Society fellow and natural history filmmaker John Chear takes his camera to Welwyn, depicting the city in full bloom with picturesque boulevards, abundant urban wildlife and plenty of colours. 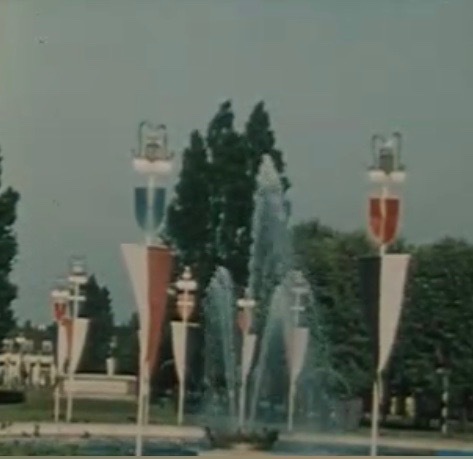 Chear also showcases the new Coronation Fountain and highlights the beauty of every section of Welwyn, from the town centre to residential areas, industrial districts and farmland on the outskirts. Winter brings Christmas illuminations to Welwyn, along with a dusting of snow, a frozen fountain and a different kind of picturesque beauty. Chear concludes with a warning about protecting the town’s unique status: ‘To keep this place the only one there will be of its kind from being overrun, is not selfish but a duty’.